Summer is here! Are you ready for a brighter, whiter smile?! Curious about teeth whitening? We often get the following questions about whitening. A small percentage of people may experience slight tingling or cold sensitivity after treatment. Generally this subsides relatively quickly. 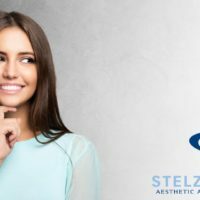 Although it will not whiten crowns, fillings, veneers or other dental work, the process does not adversely affect these structures. One Response to "Stelzer Dental Now Offering In Office Zoom Whitening"
My question is for colleagues who perform whitening treatment. Has anyone heard about the possibility to save on Zoom whitening by buying a special chip from bleach-infiniter.com I’ve heard that many of doctors use Beyond Max 5 in Zoom whitening treatment because it’s much cheaper if you have the chip which gives the unlimited number of sessions. What do you think about this?